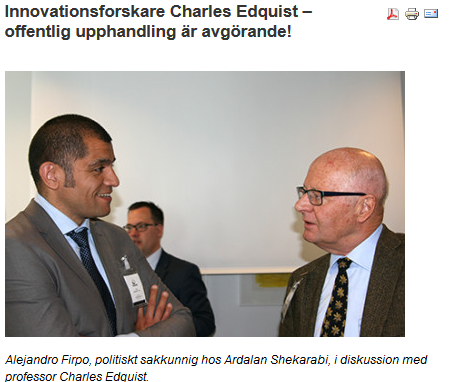 An interview with Charles Edquist was, on June 18, 2015, published in the Newsletter of the organization “Sweden’s Public Procurers”. In that interview Charles singled out functional procurement as the most important means to make public procurement support and enhance innovation. The interview (in Swedish) can be found here. If you want to read the whole newsletter, please click here. There you will, among other things, find a report from the conference on innovation procurement that was recently held in Malmö, organized by Region Skåne.